Are your kids home from school this summer and driving you crazy? Are you a big geek that never grew up and would like to design your own comic strip? 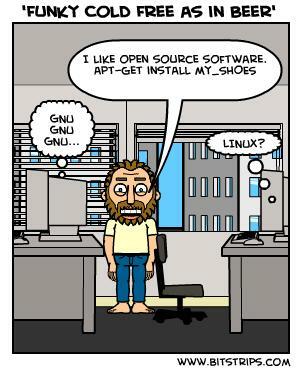 The site BitStrips may solve both of these problems. They have a free interactive based comic strip building site that allows you to author and publish your miniature works of art. I created a non-funny example to show what can be done even if you are devoid of the ability to generate humorous content.